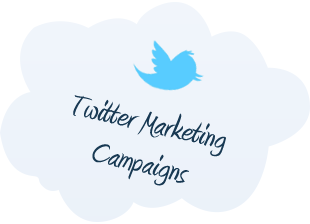 With over 320 million monthly active users, Twitter is ripe with marketing opportunities. Twitter is the instantaneous Information source for many people. It is a system where people and businesses can communicate with short 140 character messages. The beauty of twitter for a business is that you can be right in the conversation as it is happening; This means that you can provide information as people are seeking it. Twitter has all the benefits of viral marketing, like when people are talking positively about you or your business, word can spread very quickly. Exposure By Design can help you to set up your Twitter marketing account with a personally branded background. The majority of your competitors are already on Twitter. The more you prolong entering, the harder it will be to build a successful profile. We will also run campaigns to build targeted followers. One of the most commonly asked questions is how to get more followers on twitter? Twitter followers will be attracted to businesses that have interesting things to say and provide great information. So you can build your twitter followers without having to resort to buying twitter followers. Ready to talk about how we can help with your Twitter Marketing project?